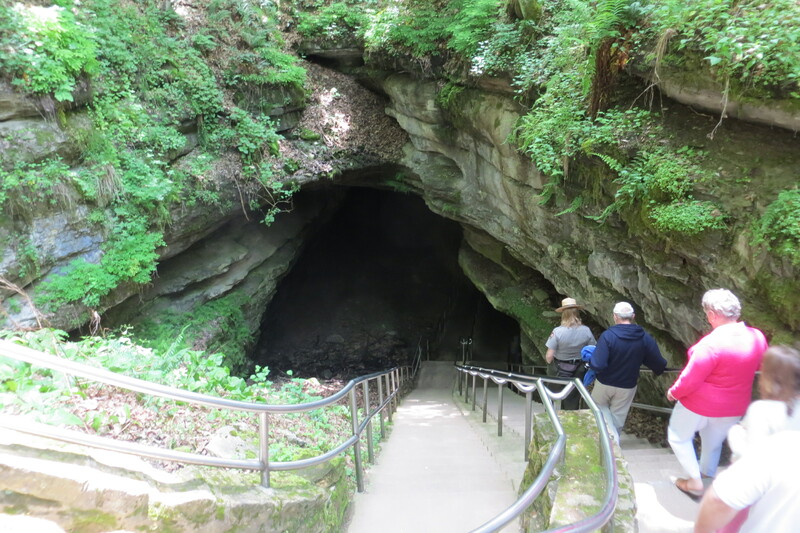 We had the opportunity to go on a ranger led tour of part of Mammoth Cave, which is the largest cave in the world with over 400 miles of surveyed passageways. The cold air rushes out to great us as we approach the cave entrance and inside the temperature is a chilly 54F. Fat Mans Misery which was followed by Tall Mans Misery, which was even lower. 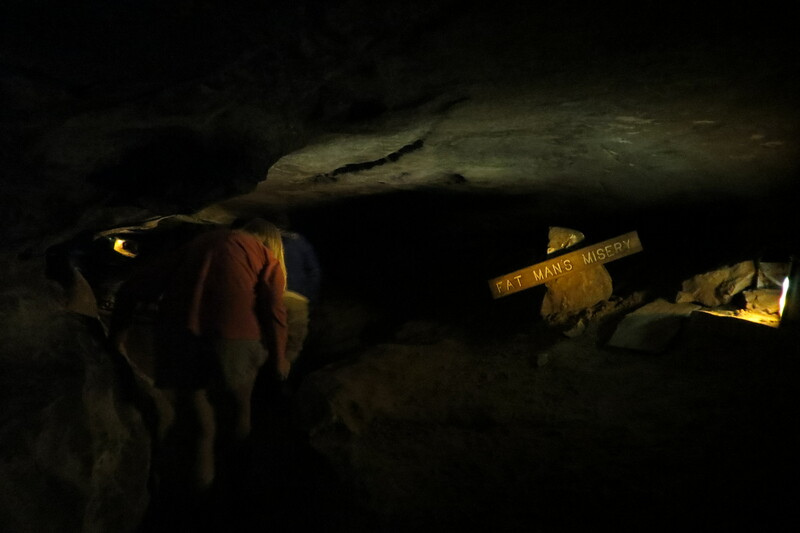 Our particular tour led us past centuries old carvings of previous explorers, ruins of old saltpeter mining operations and through a narrow passageway reminiscent of slot canyons out in Utah. It was a fun introduction to only a small part of the cave. Hey Jacque, great to hear from you! Unfortunately we have to move on tomorrow as we have to be in Minnesota by a specific date. Its beautiful here though and we’ve really enjoyed it. The brass band festival would have been great. Yes… I recall the old entrance. But not the Miseries. Shorts and a long-sleeved tee-shirt… really? Were you wearing flip-flops as well? Did you get the lights-out experience? I had to buy the long sleeve T-shirt at the visitor center as I only had a short sleeve t-shirts on! But you will be happy to know I had hiking boots on, no flip flops. Leonard was similarly dressed and used me for warmth!